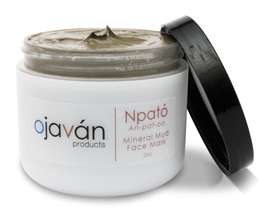 Another quality item that helps set Ojaván’s Mud apart from the others is simply Trace Minerals & Elements. Trace Minerals & Elements provide a bounty of healing properties that have been scientifically validated for their use in topical applications. The human skin is the largest organ of the body and has a tremendous capacity to absorb health supportive substances. Because we won’t strip the mud of any trace minerals and elements, our mud will work with all skin types. 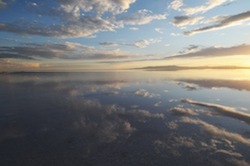 The Mud that Ojaván uses comes from a very remote region of the northwest section of the Great Salt Lake. This part of the lake is separated from the south half by the Lucin Cutoff built in 1959. Because of this, the northwest area or Gunnison Bay has become substantially denser with minerals and elements and a species of algae that releases beta-carotene or pro-vitamin A, which is very good for the skin. All our mud is hand harvested, after the protective layer of salt has been removed. The mud is around 250 million years old and has had thousands of years for the mineral rich waters of the lake to infuse it with over 70 Trace Minerals and Elements that match what our body needs for beautiful, young looking, healthy skin. The above trace minerals and elements are found in our bodies as well as in the air we breathe, water we drink, and the food we eat. Our Products have these trace mineral and elements in their true natural form, not a chemically created form (which can be harmful in large quantities). This entry was posted in Feed Your Skin and tagged acne treatment, anti aging, Beauty, Beauty Products, Body, Body Mask, dry skin, Essential Oils, Great Salt Lake, Green, Green Products, Mineral, Mineral Mud, Minerals, Mud, Natural, Natural Beauty, Ogden UT, Ojavan, Ojavan Products, Organic, Skin Care. Bookmark the permalink.